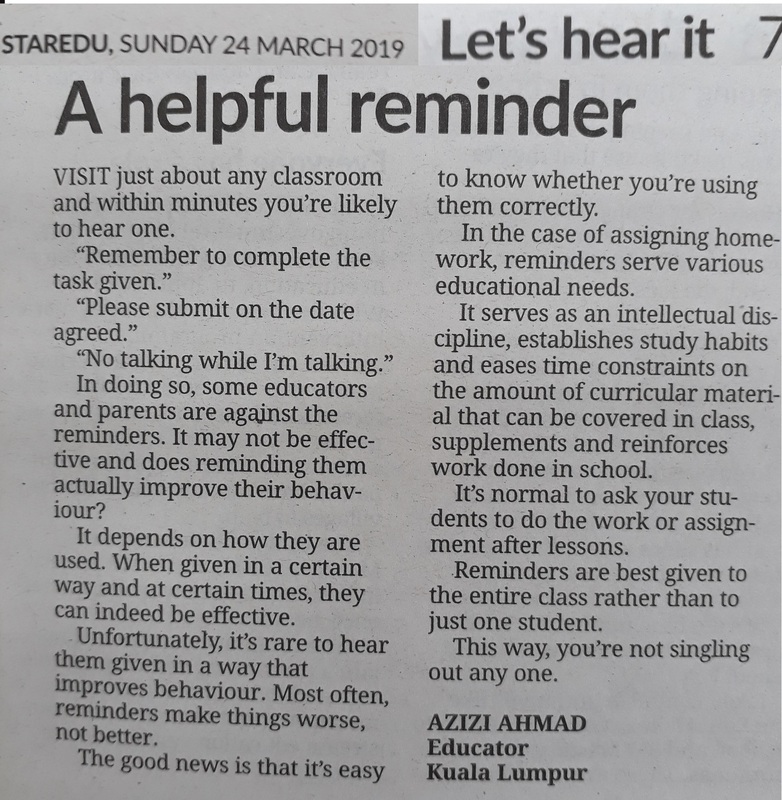 In doing so, some educators and parents are against the reminders and it may not be effective and does reminding them actually improve behaviour? It depends on how they’re used. When given in a certain way and at certain times, they can indeed be effective. In the case of assigning homework serves various educational needs. In addition, it fosters student initiative, independence, and responsibility and brings home and school closer together. It’s normal to ask your students to do the work or assignment after lessons. And of course you need to remind them as they’re sure used a lot. The saying says, reminders given before misbehaviour can occur are always good. Reminders given after misbehaviour has already begun are always bad. 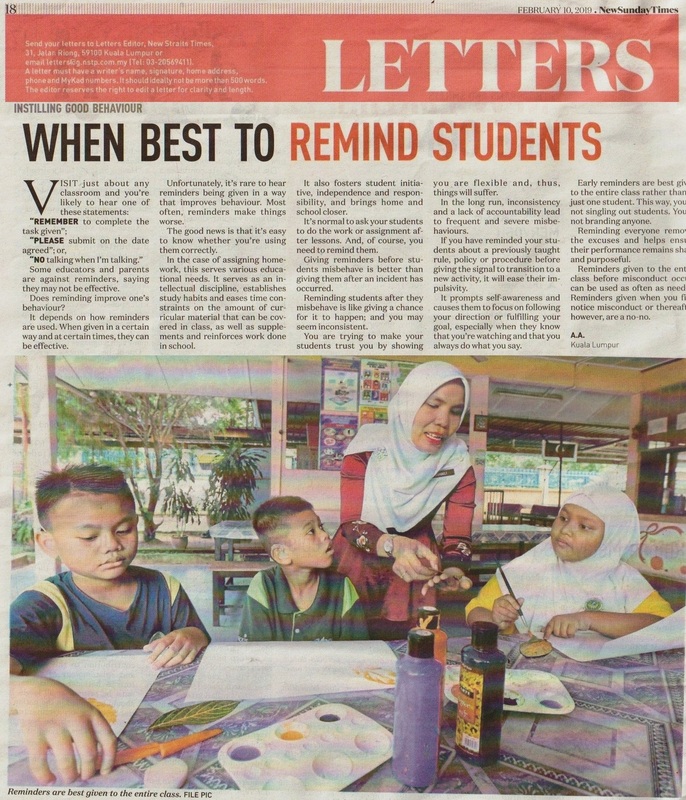 Reminding students upon seeing misbehaviour, is like giving the chance to happen and you seem inconsistent. You are trying make your student have trust in you and showing you are flexible and thus things will suffer. In the long run, inconsistency and lack of accountability will lead to more frequent and more severe misbehaviour. Should you had already remind your students a reminder about a previously taught rule, policy, or procedure before giving the signal to transition to a new activity it will alleviates their impulsivity. It prompts self-awareness and causes them to focus on following your direction or fulfilling your objective, especially when they know that you’re watching and that you always do what you say. Early reminders are best given to the entire class rather than to just one student. This way, you’re not singling out particular students in front of everyone else. Reminders given to the entire class before misconduct occurs has a chance to develop are clear environment, and can be used as often as needed. Reminders given when you first notice misconduct or thereafter, however, are a no-no.